[3:30] What made Barbell Shrugged so successful? [1:08:25] How is Qualia different than other Nootropics? 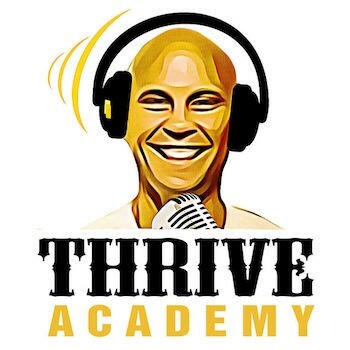 Thrive Academy Podcast: Nutrition | Fitness | Mindfulness | Relationships | Self-Help is hosted by Jess Guidroz: Lifestyle Coach, Self-Help Specialist, Nutritionist, Teacher, Speaker. 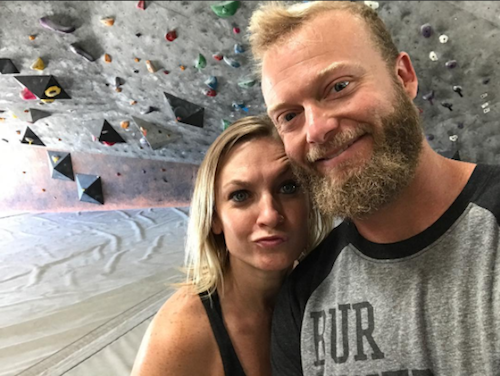 What made Barbell Shrugged so successful? A lot of Barbell Shrugged’s early growth is also attributed to the second guest they landed for their show: Rich Froning Jr., 4x Crossfit Games champion/Fittest Man on Earth. In 2010, Mike met Froning at a Crossfit competition and approached Froning to give him some honest weightlifting tips. That little gesture eventually was worth gold. Tip: Don’t be hesitant to help out a stranger– karma is real! Mike always knew he’d accomplish big things — that he’s on the path to something great, despite not knowing exactly where or what it is. He trusts that if he continues going forward, creating the life his heart and mind guide him toward, the results will be worth his effort. Mike and his wife took their marriage to another level. They don’t just comfort one another when in need or to get over fears. They constantly challenge one another, emotionally and intellectually. They don’t push it too hard to traumatize one another, but just enough to help each other and their relationship grow. Joe dispenza’s matching visualizations technique is a great practice: visualize exactly you want, and then express gratitude as if you already have it! Mike doesn’t get upset often, but when he does, it’s usually when someone doesn’t meet an expectation he had. Mike uses Jesse Elder’s technique to cope in these instances: write down 10 things you are grateful for or appreciate about that person. The results should be nearly instantaneous, by the 10th thing, you probably are no longer upset with that person. Frequency — Frequency of sessions is the most important component to get meaningful results. 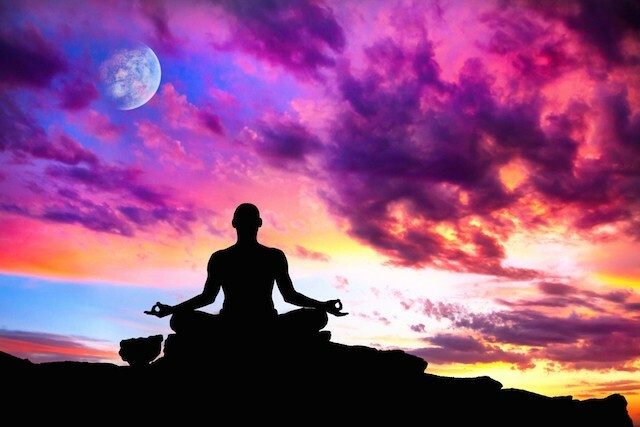 Switch between several types of meditation practices — Mike for examples goes floating (in a sensory deprivation tank) once a week for 90 min, which serves as a deep session for information processing. Don’t push it too hard — When Mike was doing 90 min sessions everyday, for 6 weeks straight, it backfired and he got sick. Spread deep sessions. Trust the process — It takes time to reap the immense benefits of meditation. You have to trust the process and keep going with it. Sometimes meditation feels like work, and sometimes it’s pure beauty. Both Mike and Jess are big fans of the book: The Surrender Experiment, which explores this mindset. Note: similarly to Wim Hof Method effects, Jess said savasana, a yoga pose, helped him immensely in the past perform better in basketball for example, thanks to deep breath work. To train his body to breathe deep all the time, Mike spends around 10–15 min a day rolling his diaphragm, followed by breath work (such as the Wim Hof Method). 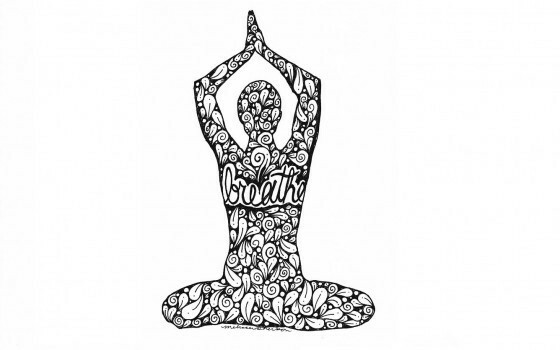 Take deep breaths — feeling your diaphragm with air, and long exhales — all the way out, contracting as much as possible. Why is it important to roll your diaphragm and practice breathing? Most of us walk around short of breath. Usually, if you have tight shoulders or neck or walk hunched over, it has to do with shortness of breath. Not using your diaphragm correctly forces you to breathe with the muscles in your shoulders and back, which are not designed to breathe, but rather initiate movement. If you’re taking short breaths, you are producing cortisol — a stress hormone, which down regulates testosterone. It’s good to produce cortisol when you’re in a stressful situation, but it’s damaging to be in that state often. What should you use to roll your diaphragm? Mike recommends Yoga Tune Up Fitness Coregeous ball by Jill Miller. It’s a unique ball that is great for rolling your abdomen because it’s super soft — it protect your fascia, and is large enough to roll the biggest density of fascia in your body (your abdomen). Side note: There is a theory that memories are stored in your fascia. For more, check out the section about fascia from The Bledsoe Show — Garry Lineham Awakening Consciousness Through Body Alignment #26. Mike has a powerful tool he uses for all kinds of stressful situations. Whether he’s at a high stakes business meeting or under the waves while surfing, he remembers to breathe into his fears. Try this: Next time you feel afraid or feel fear in your body, breathe into the fear. Breathe deep into your diaphragm, and check if it works. Mike makes a unique micronutrient focused morning smoothie. He was inspired to eat more vegan as a result of participating in a Sacred Earth Warriors event. After the event, his goal was to get more micronutrients in his morning smoothie than he gets in a week. The results were spectacular! Mike got super lean, all of his joints stopped aching, and his mind felt clearer. Note: Watch out for smoothies at restaurants that add sugar rather than micronutrients to make smoothies tastier. I made Mike’s morning smoothie, and I have to admit, it’s not the same as a Caribbean Way from Smoothie King, but the flavor is good enough, and the nutrition is amazing! Just like meditation practices, Mike keeps changing up his proteins. Sometimes he goes vegan only, sometimes animal protein, sometimes mix, different brands, etc. Nowadays, Mike is into cricket protein. 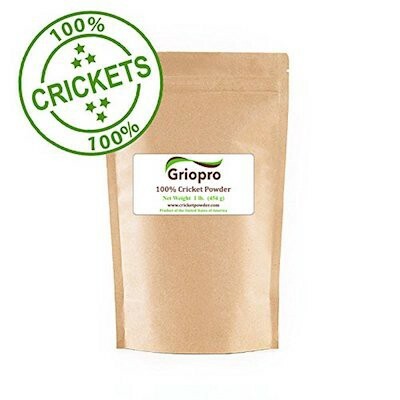 Crickets have 3x more protein than a piece of steak, 2x more zinc than beef, and other strong nutrients and minerals. Also, processing insects makes a tiny dent on the plant compared to other protein sources consumed by humans. How much to eat? Try 10g of cricket protein and add another type of protein to mask the flavor. Jess followed Mike’s advice to add medicinal mushrooms to his diet. He noticed improvements in his cognition, health, and energy by consuming medicinal mushrooms, such as Reishi, Cordyceps, Lion’s Mane, and Metamorphosis — an amazing mix from Elemental Wizdom that Mike takes. Eat more vegetables — Jess and his wife started doing meatless Mondays to reduce meat consumption. They were inspired by massive research on vegan diets and the book Finding Ultra by Rich Roll — a story about an ultra marathon runner that went vegan and immensely improved his regimen. Protein fasting — cut protein for a day, which can help reset cell receptivity to change. 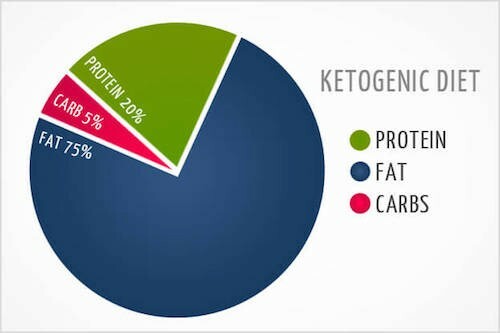 Ketogenic diet — Next, Mike will experiment with the ketogenic diet (and intermittent fasting as part of it), which is a high fat, moderate protein, low carb diet. Sleep — the most important recovery tool! How is Qualia different than other Nootropics? Nootropics can help you focus and be more creative, but most are focused on one thing. Qualia is about improving multiple aspects: intellectual capability, decision fatigue, executive function, and empathy. Mike likes Qualia’s intent of the supplement: it’s not just about being better today, but about building hardware for long-term effects. Even if you take Qualia for only a year but then stop cold turkey, you’ll benefit from it for the rest of your life. There are many ingredients in Qualia designed to build a robust foundation, so you can increase focus, recall events better, make better decisions, and more. Consciousness or self-awareness is what separates us from the animal. 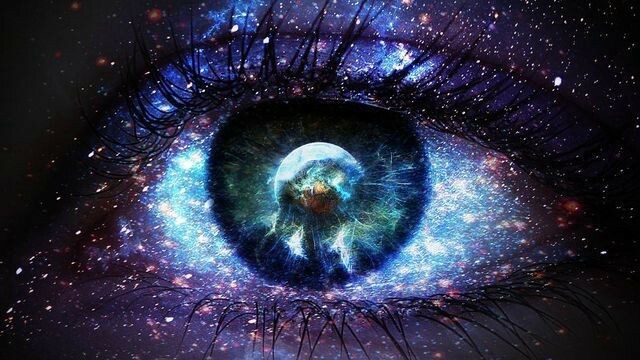 Today, it’s rare when people feel they are one with the universe. Too many people are caught in time and space, which were created because of language. Language is an amazing communication tool we developed, but it also creates distinction and separateness. Developing your consciousness takes skill and practice. Once you get in flow, you don’t feel time and space. Tip: Ignore time and space to get in flow — Jess’ meditation teacher advised him to stop tracking the duration of his meditation sessions and stop whenever he feels like he reached the desired state.